24 years after its last true entry, Streets of Rage 4 has been announced. This genuine article sequel comes courtesy of developers Dotemu, Guard Crush Games, and Lizardcube who all contributed to last year’s remake of Wonder Boy: The Dragon’s Trap. 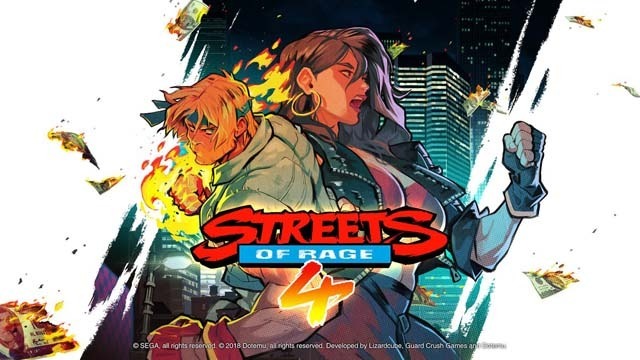 Streets of Rage 4 will feature a similar visual approach as The Dragon’s Trap 2017, with HD hand-drawn character art eschewing sprites and lush painted backgrounds depicting the mean streets (of rage). Mainstay characters Axel Stone and Blaze Fielding will be returning as playable brawlers. Longtime gaming fans know Streets of Rage as SEGA’s seminal beat ’em up property, with entries in the arcade and on the 16-bit Genesis (Mega Drive). The franchise has been dormant since 1994’s Streets of Rage 3 outside of nominal re-releases. Streets of Rage 4 currently has no given release date or even platforms that it will appear on. No word yet either on whether series composer Yuzo Koshiro will be returning either. It is one of the many retro-revivals, be they remasters of continuations, that have been announced this month.